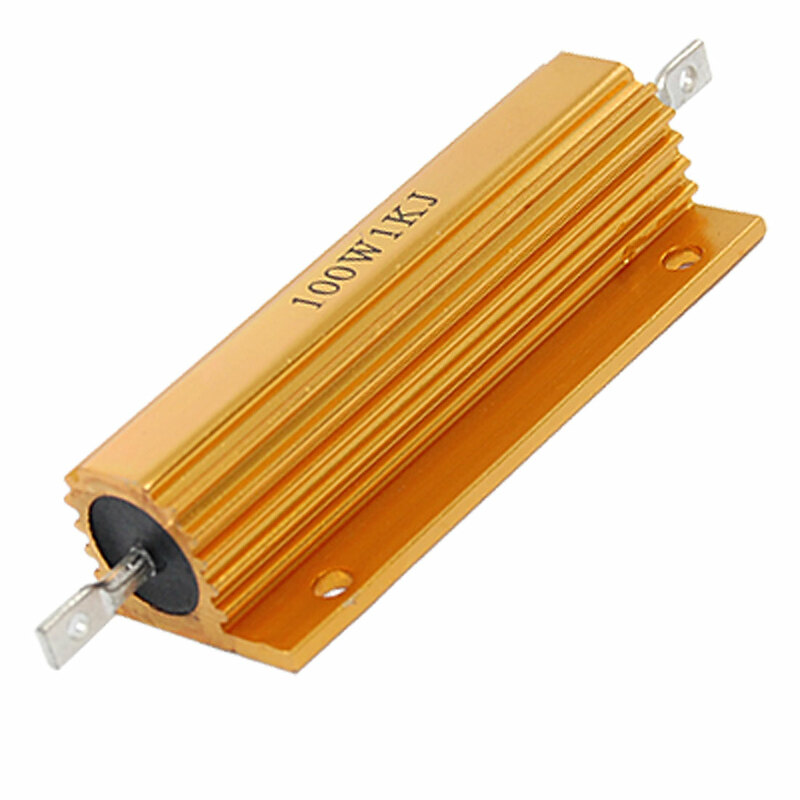 This resistor designed with gold tone aluminum case, 100 watt power and 1K Ohm resistance value. The aluminum case has the screw tabs on it so you can tighten them against a chassis or heat sink for greater heat dissipation. Widely used in power supply, transducer, elevator, arena audio and high requirement equipment Industry.